For too long Mexico’s reputation has been regarded as a receding, impoverished nation. And while poverty is a major problem in the country, Mexico is far from a nation in decline – in fact, some experts say it’s time to invest in Mexico. Data from recent years show Mexico’s economy is on a slow and solid rise. As business grows and national economies continue to establish a global presence, Latin America, and Mexico especially, has caught the eye of international business sectors. With a new president and a solid economic model for 2019, Mexico is a great option for growing companies. A deep dive into Mexico gives us a closer look. While the country is saddled with debt, the economy is set on a steady 2% growth rate. In 2018, inflation stabilized at a lower rate, following a major spike in 2017. In January of 2018, Mexico’s inflation was at 5.5 percent while in December 2018, rates were down to 4.83 percent. The end of the year percentage both reflects the average inflation percentage for the second half of 2018, and is closer to the Bank of Mexico’s 3 percent goal. This is the sign of a nation that knows how to reign in an unexpected downturn. It also indicates a healthy, growing economy that won’t hinder the spending ability of Mexican buyers, which is exactly what a business should be looking for when it comes to international expansion. What’s more, a new and improved North American Free Trade Agreement (NAFTA), now called the United States-Mexico-Canada Agreement (USMCA), is positive for Mexico as it puts the country on equal footing with larger economies and introduces business trade incentives for non-North American nations, a claim no other Latin American country can boast. This established trade alliance reflects back into the domestic economy. With the near-decade low unemployment rate of about 3.5 percent, the Mexican labor force reflects the heightened consumer confidence, all linking to the USMCA, according to a U.N. report. A major reason to invest in Mexico now is its projected growth and future promise. 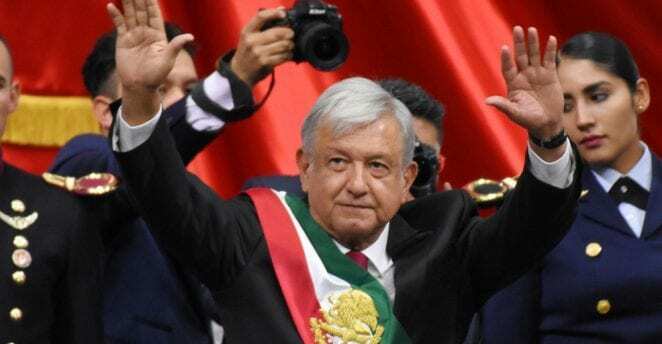 President Andres Manuel Lopez Obrador took office in December of last year with a plan to retool Mexico’s current government model. To back up his optimism, President Lopez Obrador recently submitted his budget for 2019. After campaign-trail claims that the Mexican government could indeed have a surplus with the money coming in, this budget does indicate this view, and it’s gaining attention because the plan looks sound. The new government is promising a surplus of 1 percent GDP in 2019, excluding debt. The main goal is to operate a free market that’s attractive to investors. This administration is promising no quick moves, careful thinking, and responsible decisions. Evidence of this approach can be seen candidly in regard to bank fees, one of Mexico’s most hotly debated issues. It isn’t inflation that’s keeping poverty high in Mexico, it’s bank fees. Aside from astronomical ATM charges, customers are fined for every action, even checking their account balance. As such, it’s no surprise that 30 percent of banking operation revenue comes directly from banking fees. Unfortunately, a history of corruption and an epidemic of poverty doesn’t help the banks out, in 2018 some 58,700,000 Mexican residents had no bank account. While banking fees are an issue the new President wants to tame, he’s not doing so in the first half of his term. Here is the sign of careful footing. Timing, his administration says, is key. They don’t want to bankrupt the bank. Appropriately, part of President Lopez Obrador’s plan is to increase connectivity. The internet features a variety of tools useful to anyone looking for employment. Social media networking, employment opportunities, training access, and more are just some of the ways mobile and online connectivity are able to help the impoverished. And that’s also good for business – better trained local employees as well as a modern, accessible internet system that has a substantial reach are critical elements for any business. The new administration hopes that by increasing the connectability in Mexico, the population will benefit two-fold: in reducing poverty, and with an upswing in ecommerce, which is already a major money-making industry in Mexico. Indeed, a growing sector, Mexico competes with Brazil as one of the highest earning Latin American countries in ecommerce, and is expected to continue on this growth path. 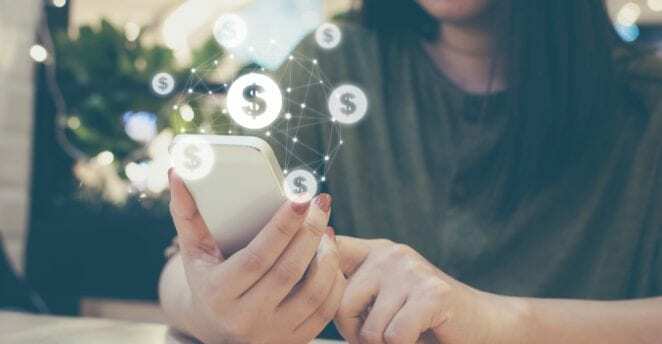 The ecommerce success in Mexico may have to do with increased existing connectivity. Online usage has been on a major upswing, with a projected 91.6 million new users between 2018 and 2021. In ecommerce alone, revenue is expected to show an annual growth of 7.9 percent between 2019 and 2023. Argentine behemoth MercadoLibre, is the dominating ecommerce platform in LatAm – well outperforming Amazon as MercadoLibre brings in 56.3 million unique visitors in Latin America, versus powerhouse Amazon, which at second place only sees 22.4 million unique Latin American visitors. But Mexico is innovating the newest spending trend: mobile ecommerce. The high usage from Mexican shoppers has increased the company’s overall demand. Mobile spending is the most prominent form of purchasing in Mexico. When businesses look to expand to Mexico, this is one of the most important aspects to consider. 81 million Mexicans have access to a mobile phone, and 80.2 percent of those users have a smartphone. These numbers directly play into the strength of the country’s ecommerce presence. With ecommerce reigning as a powerful fixture in Mexico, it should be no surprise that one of the biggest sectors is in digital service. PayPal is the preferred online payment method in Mexico, as is OXXO, a voucher-based payment system using multi-location cash deposit stations. Even retailers with physical locations are now establishing an online presence. Ecommerce is certainly one of Mexico’s strongest sectors. But there are others, too. Among its trade and investment agreements, many countries currently invest in Mexico due to the free trade and low labor cost, and its prime location as a country with numerous ports. As an industrial hub, Mexico is among the top in the world for automobile manufacturing, both in the US, where 70 percent of its manufactured automobiles are sold, and in Europe, where trade is free. This goes for aerospace, too, as Mexico is one of the prime locations where space equipment is engineered and has a steady increased rate of 20 percent per year. Oil is a high-revenue yielding sector in the country, holding its place as sixth-largest producer in the world. Every day, some 3,700,000 barrels of oil are generated. It’s no secret that Mexico is a coveted vacation destination. As the biggest travel destination for U.S. vacationers, other countries have caught on. In the first quarter of 2018, Mexico tracked over 10 million tourist visitations. According to the World Bank, the Mexican tourism sector was the third largest contributor to foreign exchange. Not only that, in 2017 Mexico saw $21.3 billion in revenues, which was a 2.9 percent increase from 2016. The new National Fund for Tourism Development was created with a goal to create a positive “tourist experience.” Moreover, President Lopez Obrador’s budget includes plans to create a tourist “Mayan” train from Cancun, through Tulum, to Palenque’s Mayan ruins, and down to the southwest, a sign that Mexico’s tourism is a hotbed for continued economic growth. Mexico has become an important fixture in the Latin American region, and one that has strong international ties. Money is generating through this country, enough that between 2019 and 2023, just the electronics and media sectors will increase market volume by nearly 5 percent. With a new president with a vision for surplus and an allotment of patience so as not to make hasty, devastating decisions, Mexico has nowhere to go but up. Sara Webster is a digital content and fiction writer living in the U.S. In a past life she was a filmmaker and worked with major studios like Sony, Warner Brothers, HBO, NFL Films, AMC, Focus Features, Marvel Television, and Netflix. Since receiving her MFA in Creative Writing from New York University, she's written marketing copy for big corporate entities, original website content for small entrepreneurs, interviewed and written profiles for magazines, and was a regular ghostwriter for a national book review. Sara teaches at Colorado Free University, and she's at work on a novel.